Are you interested in leading a TWAW Chapter? Under the banner of TWAW Shooting Chapters, inc., local chapters will reflect the mission to educate, equip, and empower women shooters with an unwavering commitment to TWAW Shooting Chapter Core Values and enforcement of firearm safety rules at all times. We believe in our mission and reach our goals with passion and drive. We do things the right way with, integrity, respect, and humility. We get it done and get it done right. ! We believe in accountability and hold each other and ourselves responsible to achieve our goals. We rely fully on our proven processes with the utmost accuracy. We are a team and value our unity of purpose and loyalty to the organization and each other. 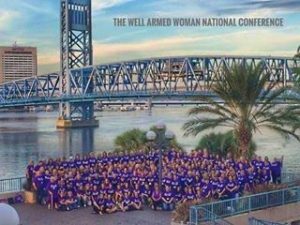 25% discount on purchases made on The Well Armed Woman website ALL year on regularly priced items, including TWAW Instructor Certification classes.